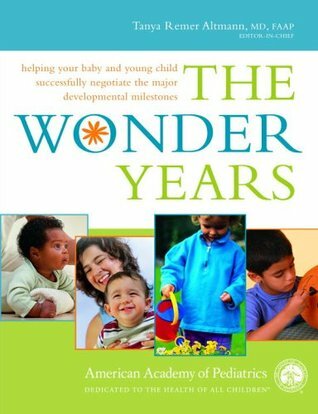 From America's most trusted pediatric authority comes an indispensable, easy-to-use guide to helping your baby and young child flourish in the first five years of life--physically, mentally, and emotionally. The first five years of a child's life are filled with major developmental and behavioral milestones. During this period your infant becomes an individual who has mast From America's most trusted pediatric authority comes an indispensable, easy-to-use guide to helping your baby and young child flourish in the first five years of life--physically, mentally, and emotionally. The first five years of a child's life are filled with major developmental and behavioral milestones. During this period your infant becomes an individual who has mastered a range of skills--from walking to making conversation-that prepares him or her to enter the world beyond home and family. For parents, this wondrous time provides an opportunity to help children fulfill their potential. The Wonder Years shows you how to make the most of it. Written in the same warm and accessible language that has endeared the Academy's bestselling Caring for Your Baby and Young Child: Birth to Age 5 to millions of parents for over fifteen years, this doctor-approved resource features a variety of fun-filled activities, tips, and hints, and offers the most dependable, authoritative, up-to-date information on child development, including: - Ideal patterns of growth at every stage--and normal variances - Parent-child activities that help you monitor and promote your child's development - Easy ways to create an enriching home environment - A "behind-the-scenes" look at what's going on in your child's developing brain - Information on aiding children with special needs-from ADHD, autism, and learning disabilities to those who are gifted - Advice on consulting specialists, including nutritionists, occupational therapists, and counselors - Tips on safety and injury prevention - How factors like birth order and gender impact development With five hundred full-color photographs and illustrations, developmental time lines, charts, and graphs, this family-friendly book is the definitive guide no parent or caregiver can afford to be without.